Bugwoman Now Has a Facebook Page..
Every Wednesday, I hope to find a new ‘weed’ to investigate. My only criterion will be that I will not have deliberately planted the subject of our inquiry. Who knows what we will find….. 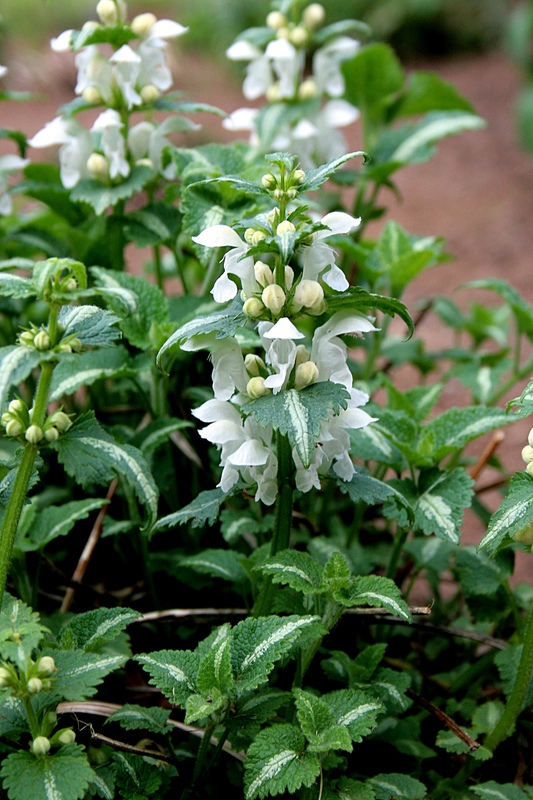 Here is Lamium maculatum ‘Beacon Silver’…. and, finally, here is a white variant. 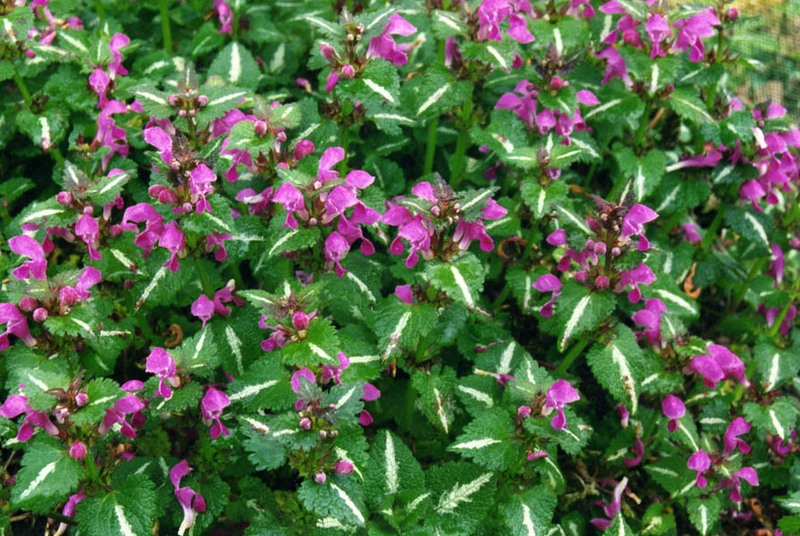 One reason for the growing popularity of Dead-nettle variants is that they are excellent ground cover in shady areas – few plants can survive in dry shade, but this is one family that will often thrive in these conditions. I do wonder, though, if the showier varieties have the delicate elegance of the wild plant. Sometimes, the result of breeding for appearance is the loss of value to wildlife – complicated flowers can make the nectar and pollen less accessible to pollinating insects, and sometimes the amount and quality of the food itself is reduced. 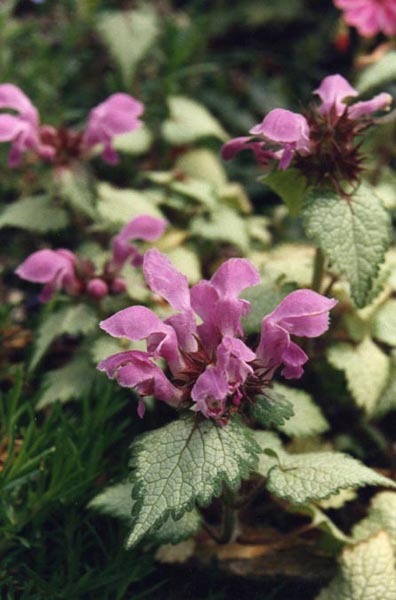 However, my good friend Jo who has a pink Lamium variety in her garden tells me that it is very popular with bees, so this is not always the case. 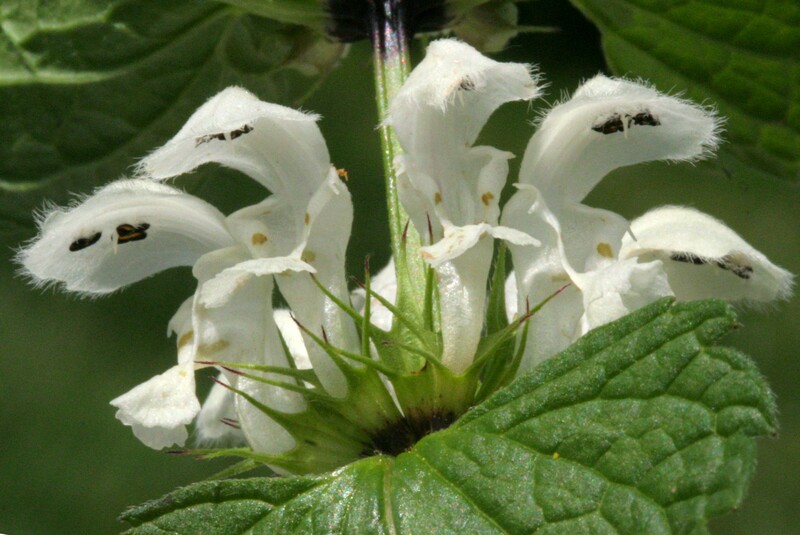 White Dead-nettle is so attractive to bees that an alternative name is ‘Bee Nettle’. As it blooms right into the heart of the winter, it is invaluable for those mild days when hibernating queen bees pop out to top up their nectar stores. Only a heavy bee is able to open the flower in order to get to the food, so this seems to be a case of convergent evolution, where the shape of the plant has evolved to fit one particular group of pollinators. 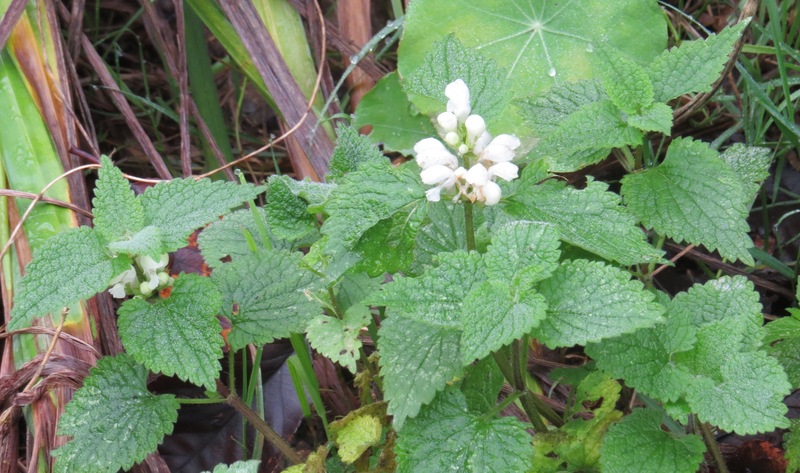 Bees are not the only creatures who appreciate White Dead-nettle – it has been used by humans too, both as food (the young leaves can form part of a salad), and has been used for the treatment of catarrh and dropsy. 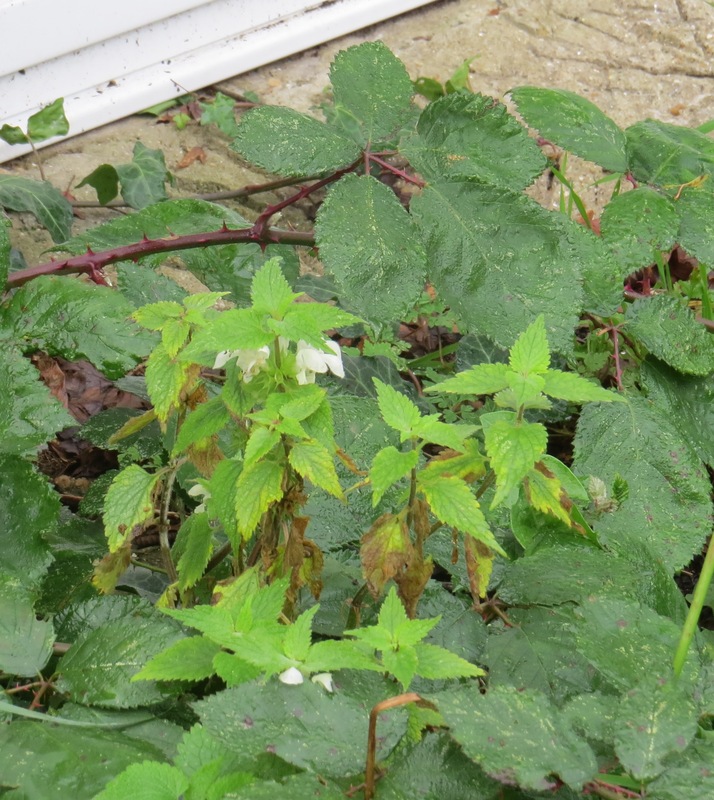 The name ‘Dead-nettle’ refers to the fact that this plant, although its leaves superficially resemble those of the Stinging Nettle, does not sting. 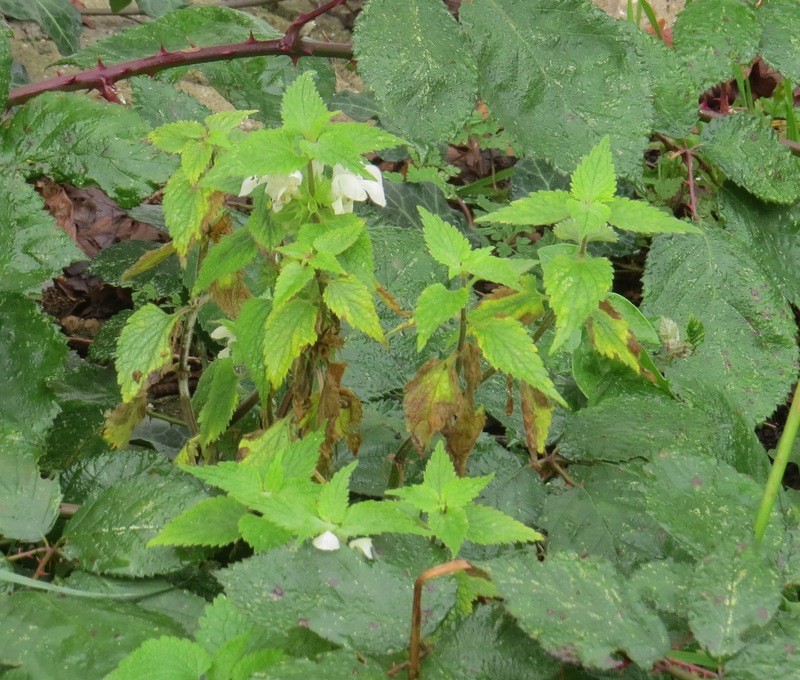 However, as it often grows amongst Stinging Nettles, White Dead-nettle may benefit from the wide berth that its more assertive relative is given by some grazing animals and insect pests. 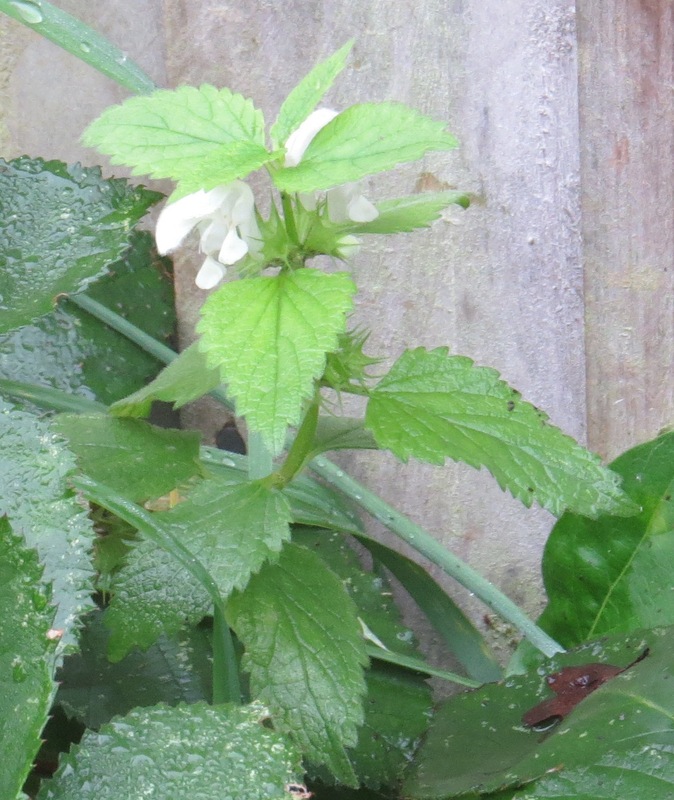 An alternative name for White Dead-nettle is ‘Archangel’. This is said to be because it was said to first come into flower on 8th May, St Michael’s day. However, I can’t help but think that it is because of the glowing white of its flowers, and their ethereal shape. Of all the ‘weeds’ that I’ve reported on so far, this one feels to me like the most angelic. 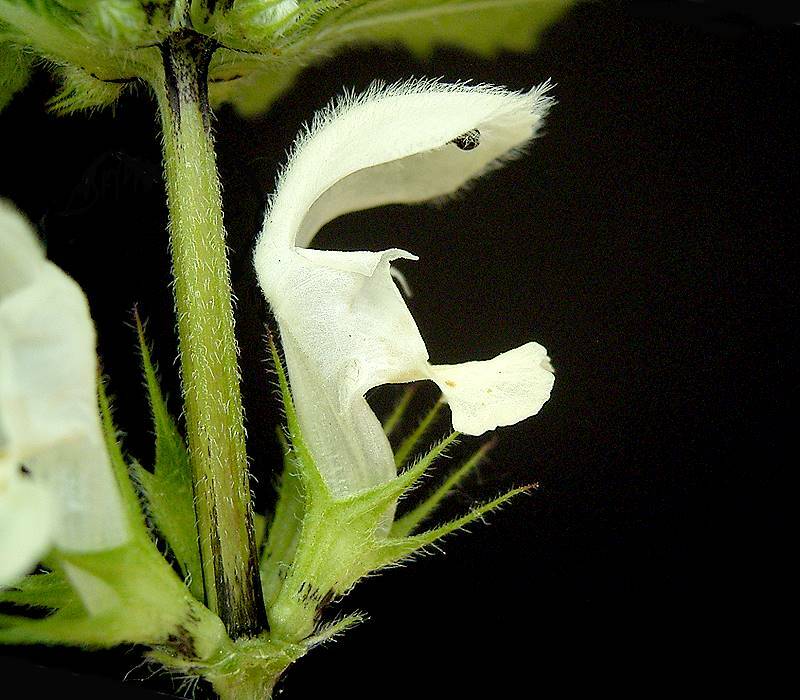 This entry was posted in London Plants on November 26, 2014 by Bug Woman.